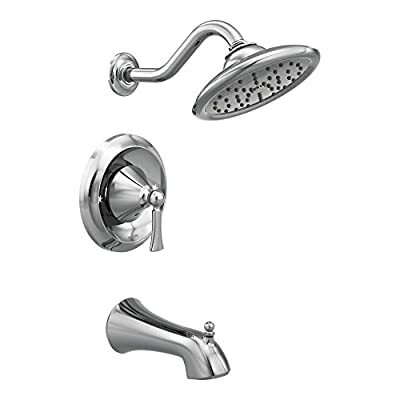 A single lever operation allows you to easily control the full spray and water temperature of the Moen Wynford Chrome Moentrol Tub/Shower. In addition, the Moentrol pressure-balancing control valve keeps water temperature and pressure consistent during every shower. A chrome finish adds a sleek touch to this faucet, which coordinates well with many design styles. Dimensions: 5.5W x 9.13D x 13.13H in.. Chrome finish. Single handle operation. Head swivels 360 degrees. ADA compliant. 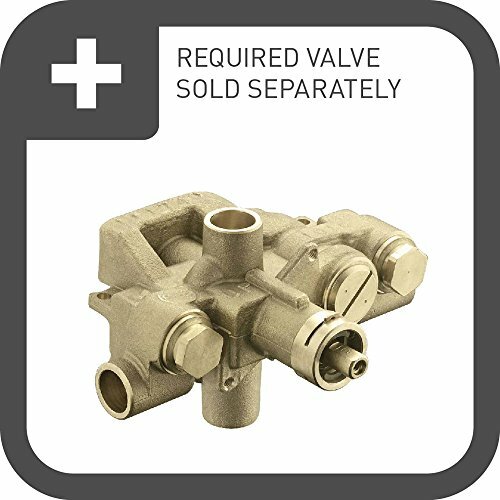 Pressure balanced valve type. Lever action handle. 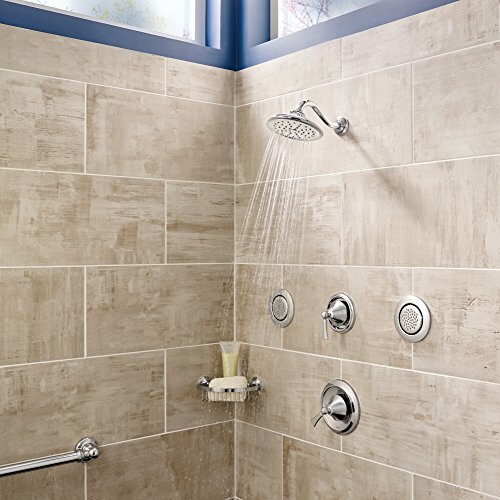 Spout reach: 7.938 in.. Shower flow rate (GPM): 2.5. Tub flow rate (GPM): unrestricted.